To activate a mass notification integration in your D4H Incident Management software, navigate to the Admin Area then select the [Mass Notifications] icon located under the Settings tab. Select the mass notification provider you wish to utilize then enter your account information. 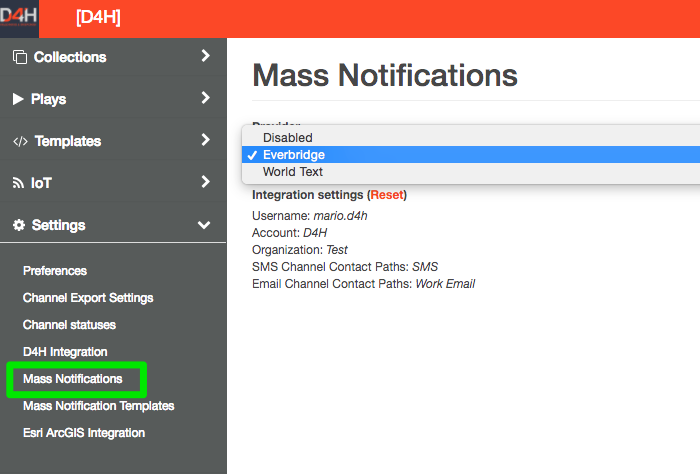 You can now access your mass notification account directly from your D4H Incident Management dashboard!